With government-backed loan modification programs showing abysmal results, Washington has turned to short sales as the flavor of the week to ameliorate the foreclosure crisis. Pursuant to the Treasury Department’s Home Affordable Foreclosure Alternatives (HAFA) initiative, effective April 5, loan servicers will be offered a $1,500 cash incentive to enter into “short sales” with borrowers, meaning allowing underwater borrowers to sell their homes at less than the amount of the unpaid principal balance remaining on their loans. Yet, this mechanism suffers from the same drawbacks as loan modification programs–namely, that the approval or cooperation of the servicer is required to complete the sale. Due to their well-documented conflicts of interest, it is highly unlikely that servicers will voluntarily agree to write down principal on the loans they service, which would also involve writing down their junior lien holdings and foregoing their right to collect late fees from delinquent borrowers out of the equity of the home. A recent article published by Senior Editor Thomas Brom in California Lawyer magazine shows that experts and commentators have generally reached the same conclusion about the likelihood of success of short sale programs. Besides including quotes from me and The Subprime Shakeout regarding the allocation of losses associated with the crisis and the intransigence of originators and services that have prevented such losses from being recognized, I enjoyed Brom’s article because it does a great job of summarizing the legal implications of short sale programs. What I would add to that discussion is that Congress’ ongoing failure to make any decision regarding who should bear the losses associated with unchecked lending means that they will still be unable to voluntarily induce servicers to go along with their new programs. If you’ll recall, Washington tried the same thing by offering $1,000 cash incentives to servicers who would engage in a government-approved loan modification. And we all know how well Washington’s loan modification programs have been performing. Besides offending any notions of fairness by paying banks to liquidate loans they improperly approved in the first place, Congress’ attempt to induce compliance by raising the cash offered by $500 smacks of a fundamental misunderstanding of the incentives and dollars at play. Servicers often hold junior liens on these homes in the amount of 5-20% of the value of the home. For a home valued at $300,000, that’s a lien worth anywhere from $15,000 to $60,000 for which the security interest would be wiped out if the servicer agreed to the short sale. Is any rational utility maximizing servicer going to give that up for $1,500 cash? What about all the late fees the servicer is raking in for every month the borrower is delinquent that the servicer would now have to forgo? What if the servicer also owns the primary lien on the house and would have to write off tens of thousands of dollars in principal? A quick fact check shows that the HAFA short sale program will likely suffer the same fate as those programs that came before it. Though Congress’ heart is in the right place, it lacks either the stomach or the understanding of the situation to craft an effective solution. 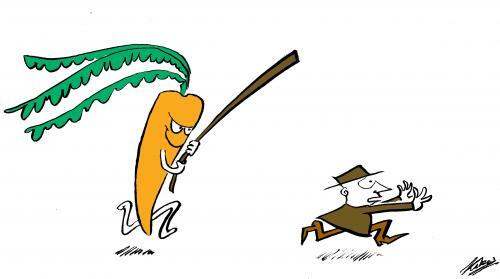 As I’ve talked about before, the carrot will not work with servicers. They are too firmly entrenched and their livelihood is too dependent on the status quo to ever expect them to voluntarily comply. Unless Congress creates a program that clearly defines who should bear the losses associated with alternatives to foreclosures–and optimally places them square in the lap of the lenders/servicers where the loan was originated in violation of the stated guidelines–we’ll be seeing more of the same foot-dragging and lip service from the servicers that we’ve seen all along. This entry was posted in allocation of loss, California Lawyer, conflicts of interest, foreclosure rate, HAFA, incentives, loan modifications, servicers, short-selling, Treasury. Bookmark the permalink.